(HealthDay)—In the wake of an E. coli outbreak that has made more than 50 people in 16 states sick, Americans are now being warned to toss out any romaine lettuce they might have bought in a grocery store. On Friday, the U.S. Centers for Disease Control and Prevention expanded its warning from just chopped romaine to any and all forms of the lettuce—whole romaine, romaine in mixed salads, etc. The agency also warned restaurants not to serve romaine lettuce to customers. The sweeping advisory came after information tied to some new illnesses prompted health officials to caution against eating all kinds of romaine lettuce that came from the city of Yuma, Ariz., where the outbreak began. According to the CDC, inmates at a prison in Alaska fell sick after eating whole heads of romaine. 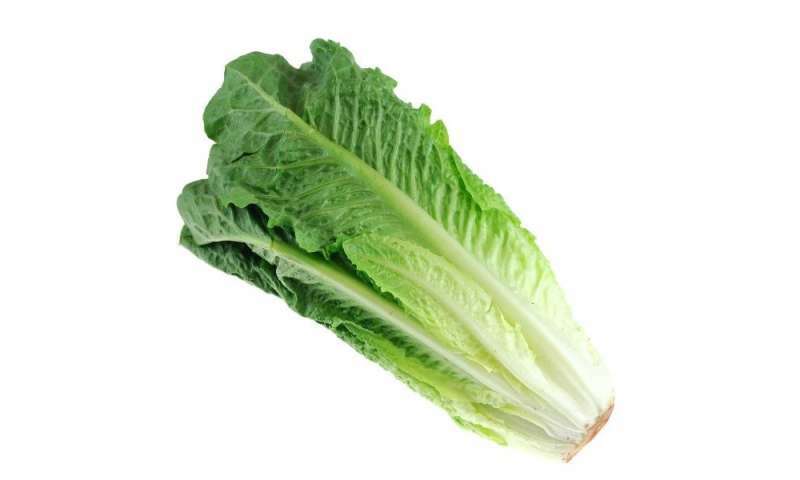 "Product labels often do not identify growing regions; so, throw out any romaine lettuce if you're uncertain about where it was grown," the agency said in its warning. The illnesses have been identified as linked to a particularly virulent strain of E. coli O157:H7. Of the 53 cases reported so far, 31 patients had to be hospitalized, including five with kidney failure, the CDC said. No deaths have been reported. "This is a higher hospitalization rate than usual for E. coli O157:H7 infections, which is normally around 30 percent," according to the agency. Illnesses include 12 cases in Pennsylvania, 10 cases in Idaho, seven cases in New Jersey, six cases in Montana, three cases in Arizona, two each in Connecticut, Michigan, New York and Ohio, and one case each in Alaska, California, Illinois, Louisiana, Missouri, Virginia and Washington. Usually, illness sets in "an average of three to four days after swallowing the germ. Most people get diarrhea (often bloody), severe stomach cramps and vomiting," according to the CDC. More information: Find out more about E. coli illness at foodsafety.gov.